Nick’s practice focuses on helping entrepreneurs and small and medium-sized businesses that find themselves dealing with financial problems and insolvency. Whether it’s overwhelming debt, inadequate cash flow, or dealing with the aftermath of embezzlement or malfeasance by corporate directors or officers, Nick helps companies and entrepreneurs with litigation, bankruptcy reorganization, receivership, financial restructuring and out-of-court workouts, collections, and other debtor-creditor matters. Nick has successfully helped a variety of businesses reorganize their financial affairs, both in and outside of bankruptcy, including software development companies, restaurants, property development companies, construction companies, subcontractors, landscape contractors, auto mechanics, gym owners, and trucking/transportation companies. Nick has also represented numerous clients in the acquisition of businesses in bankruptcy. 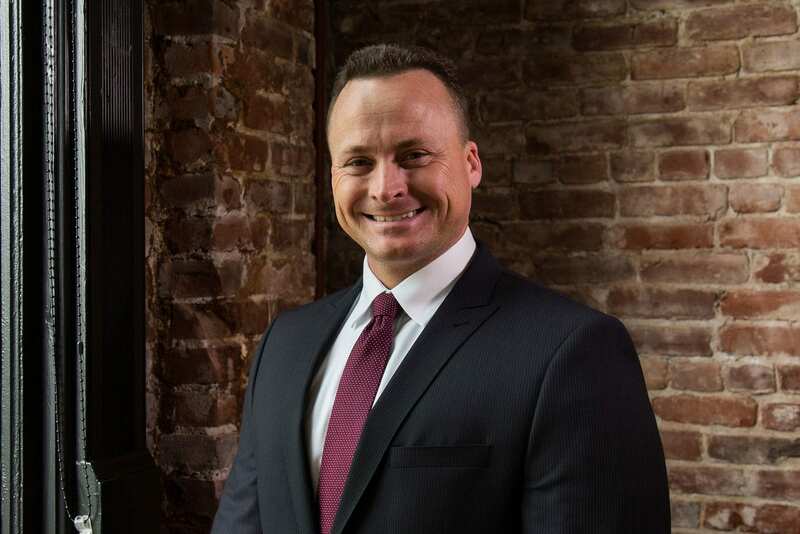 In addition to bankruptcy and debtor-creditor matters, Nick also represents entrepreneurs and businesses in business and commercial litigation, including trials and arbitrations in state, federal, and bankruptcy courts in Oregon and Washington. Nick has successfully litigated a variety of cases, including shareholder and partner disputes, bankruptcy-related matters, commercial and business disputes, securities violations, fraud, construction defect claims, trade secret misappropriation claims, employment matters, and real estate disputes. In addition to insolvency, bankruptcy and litigation matters, Nick represents small and medium-sized businesses in a variety of transactions, including entity formation, mergers and acquisitions, franchise sales, trade secret protection, corporate maintenance, and various financial and banking matters. In re: Frontier Star, LLC (Bankr. Dist. Ariz. Case No. 15-9383): Lead counsel for buyer of substantially all assets of franchise restaurant business, resulting in the acquisition of over 150 franchise restaurants. Handled all aspects of the transaction for the buyer, including negotiations with the debtor-seller, the lender, restaurant franchisors, suppliers, and dozens of landlords. In re: Evergreen Vintage Aircraft, Inc. (Bankr. Dist. Or. Case No. 14-36770): Chapter 11 Debtor’s counsel for Evergreen Vintage Aircraft, Inc., the owner of the aviation building that houses the famous Spruce Goose in McMinnville, Oregon. Represented the debtor-seller in the negotiation and sale of the aviation building, as well as over 20 vintage aircraft and aviation-related artifacts. Litigated valuation issues in the case, favorably resolving fraudulent transfer and preference actions against creditors, enabling the confirmation of a plan that resulted in repayment of more than $20 million dollars of secured debt, and a significant return to unsecured creditors. Lead counsel in a Chapter 11 bankruptcy case for a graphic design and advertising firm. Confirmed plan of reorganization at contested confirmation hearing. Successfully reorganized several small businesses both in and out of bankruptcy, including restaurants, property development companies, construction companies, subcontractors, landscape contractors, auto mechanics, gym owners, software development firms, and trucking/transportation companies. Initiated involuntary Chapter 11 case against a limited liability company to prevent non-judicial foreclosure by affiliate of one of the LLC’s members. Prevented foreclosure of debtor’s assets, and negotiated settlement for client to obtain full ownership of the debtor-LLC’s assets. Represented owner of multi-million dollar hotel property in Chapter 11 proceedings. Negotiated favorable resolution that eliminated millions of dollars of potential liability for hotel owner under personal guarantees. Successfully defended claims for breach of contract and various business torts in bankruptcy adversary proceeding in which “creditor” sought denial of discharge under 11 U.S.C. § 727. Obtained summary judgment ruling on all contract and tort claims, eliminating plaintiff’s standing to pursue claim for denial of discharge. Result was a complete dismissal of the adversary proceeding against Nick’s client. Represented numerous plaintiffs and defendants in bankruptcy adversary proceedings involving claims for non-dischargeability of debts and general denial of discharge. Represented numerous small businesses in bankruptcy preference and fraudulent transfer defense litigation, successfully eliminating or limiting client’s exposure for acceptance of pre-bankruptcy payments. Represented lenders and individual creditors in several non-dischargeability actions in bankruptcy to have debts owed to clients declared non-dischargeable. Represented receivers and creditors in multiple small business receivership cases. Defended small business in judicial dissolution case and successfully defeated a member’s attempt to take control of the business through a motion to appoint receiver. Mukesh Patel, et al. v. Alkesh Patel, et al. : Plaintiffs’ counsel in derivative suit against manager of limited liability company. Helped clients seize control of LLC away from entrenched manager accused of breach of fiduciary duty and conversion of company funds. Favorable judgment entered following two-week jury trial involving multiple parties. Lead trial counsel in multiple securities fraud and fraud cases. Successfully obtained several six-figure recoveries for aggrieved investors. Lead trial counsel in fraudulent conveyance litigation to unwind complex asset-sheltering scheme by judgment debtor, involving transfers of money and land to several business entities, family members, and friends. Lead trial counsel in shareholder disputes involving allegations of various breach of fiduciary duty claims. Obtained trial verdict for client with recovery of costs and fees. Lead trial counsel in several commercial landlord-tenant disputes. Lead trial counsel in trade secret litigation involving former employees charged with misappropriation of trade secrets. Obtained judgment of dismissal for defense with recovery of unpaid compensation to clients. Lead trial counsel in defending materials manufacturer against construction defect claims. Obtained complete defense judgment and recovered client’s costs of defense. Represented franchisor against franchisees bringing claims for fraud, misrepresentation, and violations of federal franchise regulations. Obtained favorable result just before trial. Represented franchisors and franchisees in numerous franchise transactions. Lead counsel in numerous multi-million dollar acquisitions of manufacturing plants across the country. Nick enjoys spending time with his wife and daughter, his family, and his friends. Nick is an avid boater and water-sports enthusiast. He also loves golfing, traveling, fishing, and cooking.